The Air Force Academy also strives to attain mission objectives through a greater “Margin of Excellence” ideal. Unfortunately, with budget cuts commonplace throughout our government, the USAFA Gymnastics Program has endured significant funding shortfalls. While the “Essence of the Academy” foundation remains solid overall, the “Margin of Excellence” gap for the USAFA Gymnastics Teams has grown in recent years. In short, what the gymnasts have today for baseline funding falls short of the actual requirement or need. Together, we can eliminate that “Margin of Excellence” funding gap. Through individual and corporate donations to the USAFA Men’s and Women’s Gymnastics Funds, the gymnasts can realize their full potential as future Air Force officers. Monetary contributions will . . . In today’s fiscal environment, the simple reality is that the “The Essence of USAFA” budgetary needs will receive government funding while the “Margin of Excellence” shortfall will not. 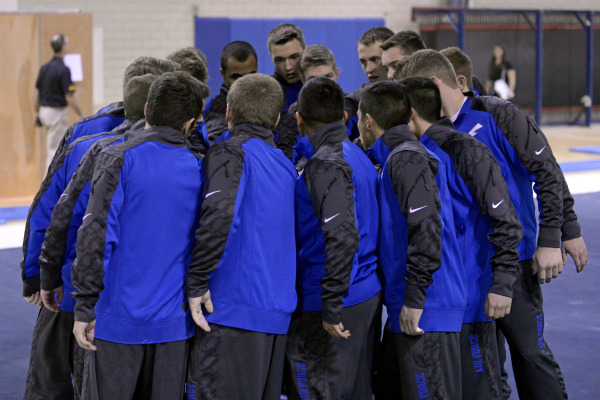 Through this Campaign and the USAFA Men’s and Women’s Gymnastics Funds, the “Margin of Excellence” funding gap can be bridged. Baseline funding or a full opportunity to attain excellence? Developing leaders of character at the “Essence of USAFA ” level or at the “Margin of Excellence” level? Please raise your hand and commit to support our USAFA gymnasts’ professional and athletic development with a donation to the Gymnastics Funds Campaign. With your help we can further enable our cadet gymnasts to realize their true leadership and athletic potential.